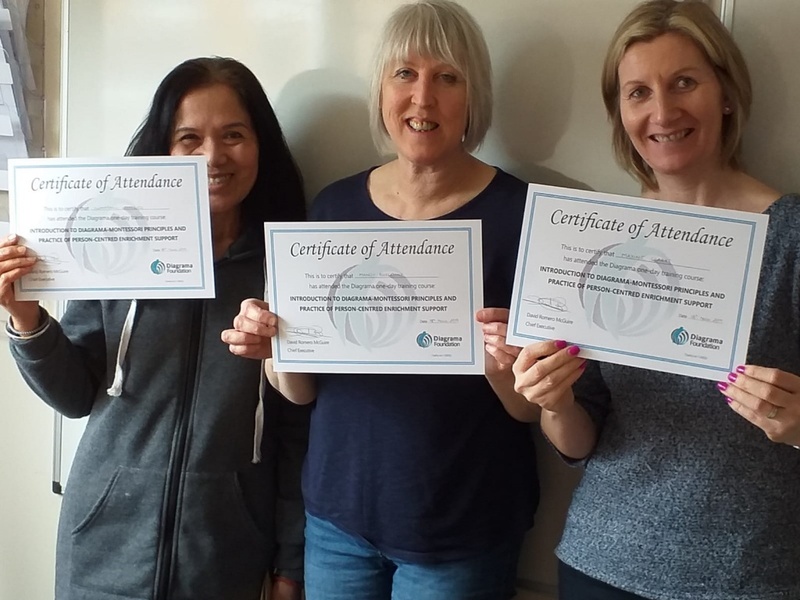 Development and care staff, along with senior management at Cabrini House, have been successfully trained in the Diagrama-Montessori Principles and Practice of Person-Centred Enrichment Support. 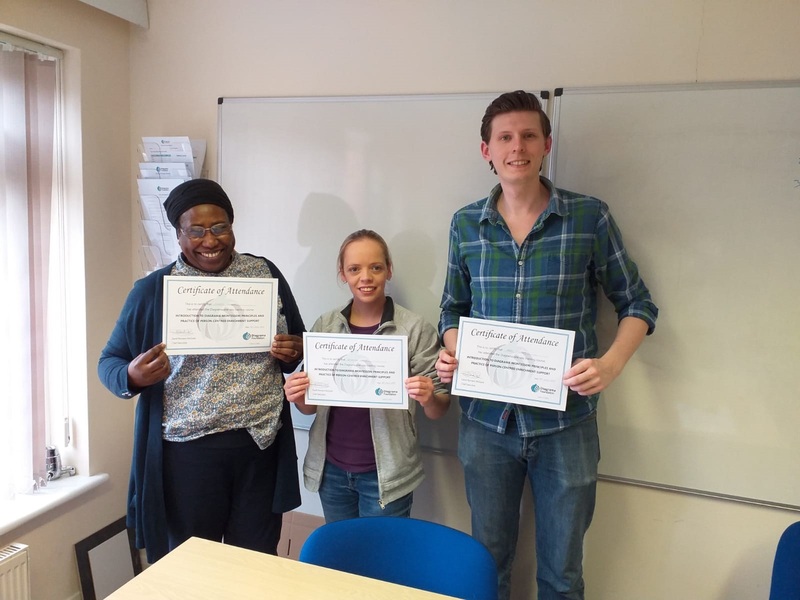 The training was delivered by Nati Beltran – a Montessori teacher who has been collaborating with Diagrama on a research project to introduce this approach to development for adults with learning disabilities. The training provided participating staff at Diagrama’s Orpington home with an opportunity to record a raft of new ideas around good practice and to consider additional meaningful activities to fulfil the needs of the residents and support them to progress to their full potential, fostering an excellent quality of life. The training followed the introduction of brain training sessions for residents using the Montessori methodology - where materials are carefully chosen and adapted to stimulate the memory, attention, motor skills, communication and numeracy of each participant. Considerable improvement in most of the resident capacities has already been noted. Interventions manager Marina Rubio Borrego said: “For example, one resident will not miss any opportunity to join in sessions. They like to work on every reading and writing material provided, developing their communication skills. We are very proud to see their knowledge is growing further and further.